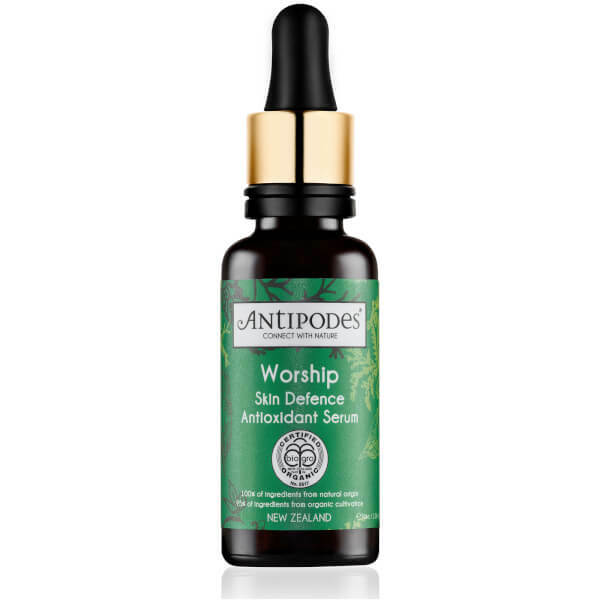 Maintain youthful-looking, supple skin with the Worship Antioxidant Serum from Antipodes, an organic skincare brand that prides itself on being nature-conscious and aspires to the lightest of carbon footprints. 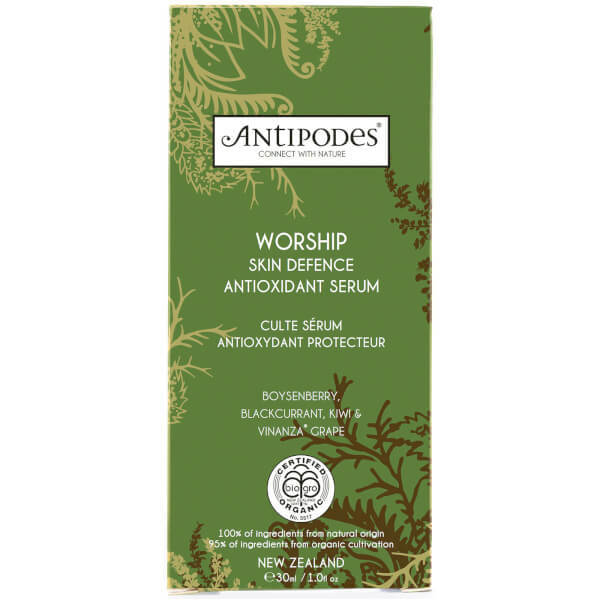 Fortified with Vinanza Oxifend Plus®, an antioxidant-packed extract from sustainably harvested New Zealand pinot noir red grapes, the powerful treatment promotes a healthy complexion and protects against environmental aggressors, whilst an infusion of coffee berry and essential fatty acids revive radiance. 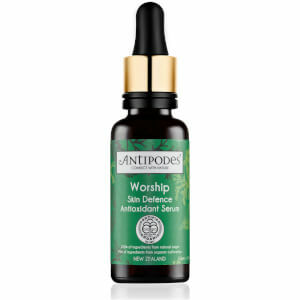 Suitable for all skin types, its water-based formula is enriched with a cocktail of boysenberry, blackcurrant and kiwi; extracted with a technique using only pure water for high natural bioactivity, defending from signs of premature ageing and oxidative stress. Expect restored luminosity and vitality. E.N. 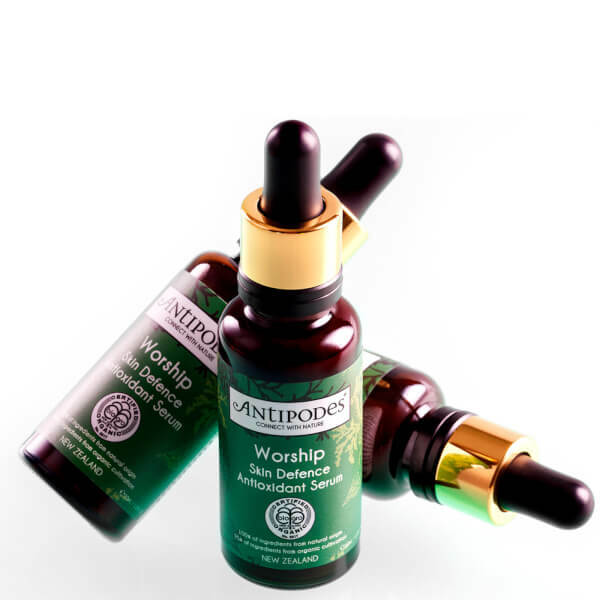 Scientifically shown to inhibit oxidative stress in-vitro by up to 90%. 100% of ingredients from natural origin. Dispense onto your fingertips and apply to your face, neck and décolletage daily before moisturising.